NSD electronic limit switch output controller named VARILIMIT is one of the best well-known controller for the replacement solution of the limit switches. Limit switches, they are used for control a machine, as safety interlocks, or to count objects passing a point. A limit switch is an electromechanical device that consists of an actuator mechanically linked to a set of contacts. When an object comes into contact with the actuator, the device operates the contacts to make or break an electrical connection. Limit switches are used in a variety of applications and environments because of their ruggedness, ease of installation. However, limit switches use mechanical contact to detect the presence or position of an object movement and mechanical contacts should be the one for consumables. Therefore, the operators should maintain this switch at actual mechanical site under harsh environment. 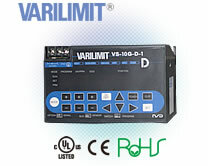 VARILIMIT with ABSOCODER is most of the known solution replacing the existing limit switches. ABSOCODER is installed at mechanical site, and VARILIMIT is installed at control room, and they are connected by extension cable. 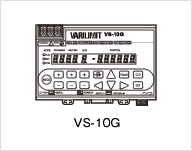 VARILIMIT is connecting with multi turn absolute rotary sensor (MRE series) and linear ABSOCODER to measure the absolute position, output limit switch signals and motion control of the system. 3 points 3 points 3 points 3 points The current position value is changed to a value which is pre-designated by the external signal. 1 point 1 point 1 point 1 point When this signal is input from the host controller, the Current Position Value will be held so that it can be read as a measuring value. - 1 point - - Updating of the current position output will be suspended while this signal turns ON. 1 point 1 point 1 point 1 point Turns ON when the HOLD measuring is completed and this current position value is held. 1 point 1 point 1 point 1 point Outputs when the current position preset signal is turned on in the position outside of the preset possible range.